Origin 12 shotgun with Trijicon RX30 sight (unmagnified 6.5MOA dot reticle), Brenneke full power magnum slugs. 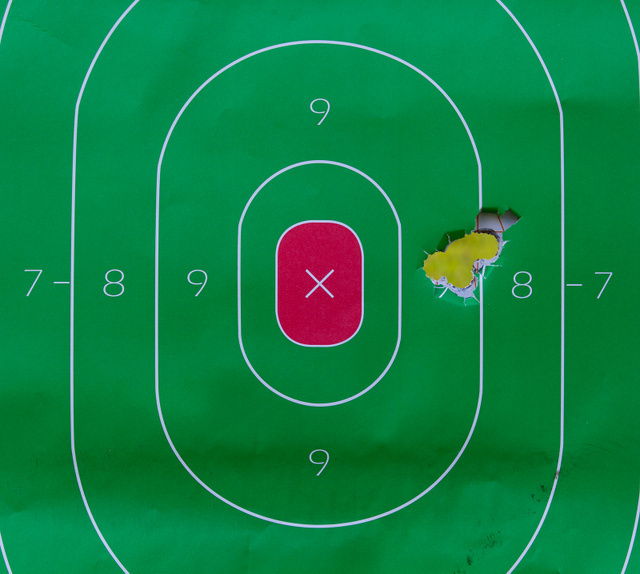 Five shots at 25 yards, with the shotgun rested on a porch railing. The sight wasn’t fully adjusted at that point, we fixed it after this string and went to 50 yards next. 485 grain slugs at 1475fps would do a number on a foe, but were actually comfortable to fire from this shotgun. With the barrel below the centerline of the stock, muzzle rise was absent. Between the performance and the manual of arms being almost identical to a side-charging AR15, I am a big fan. This entry was posted in ammunition, shotgun, weapon and tagged 12ga, optics. Bookmark the permalink.